Most university students are accustomed to finding research at their own university library, either online or physically hunting out research papers. Although many universities have a wealth of research available for their students, it is also well worth your time to expand your search to other universities which allow you to download research papers online. By expanding your research to some of the world’s highest ranked universities, you will be able to include a wider range of ideas in your own thesis. Furthermore, the breadth of human rights as an area of study requires very in-depth research which can be enhanced by studying theses from different universities. Researching these papers will provide you with knowledge that can keep you one step ahead in your future human rights career and impress future employers. Here are a few universities which allow you to download whole theses for free. 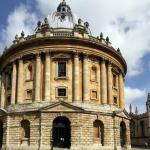 The University of Oxford is one of the top universities in the UK across faculties and has published substantial research as part of Oxford University Press, the largest university press in the world, since 1586. Oxford offers masters programmes in International Human Rights Law from a faculty which is comprised of internationally recognised human rights scholars and advocates. Needless to say, the research papers that are published are some of the highest quality you will find and you can download many of them for free. Simply search for Oxford University Research Archive and from there you will be able to enter the topic of the research paper, such as Human Rights, and select Thesis under Item Type on the left-hand menu of the screen. From here you will be able to download any paper that is marked with an open, green padlock. The papers with closed, red padlocks are currently under embargo and will ask you to request access. There is a varied selection of human rights papers that you can download instantly, and for free, including papers on women’s rights and globalisation of universal human rights in the Middle East. You can further refine your search by adding more filters in the left-hand menu which makes finding relevant theses quick and simple. This Ivy League University in Connecticut is globally recognized for both its university and law school and possesses the third largest academic library in the USA. For this reason, you can also find a lot of research online using their database EliScholar. Some items require login details for access, but many of the papers are available to download for free. Type human rights in the search bar and refine your search by adding specifications such as Theses/Dissertation which you can find under Publication Type on the left-hand search menu. You can also further refine your search based on Discipline and Keywords. Here you will find papers related to human rights such as women’s participation and the health of the community in Uttar Pradesh, India. 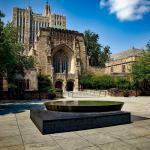 Yale university offers an undergraduate programme in human rights which is heavily career focussed, connecting students with faculty peers who can support them with internship opportunities. The programme adopts a multidisciplinary approach including areas such as anthropology, area studies, law, literature, philosophy and political science, covering a range of aspects necessary for the study of global human rights. The human rights programme recognises the complexity and diversity of this area of study and, subsequently, produces world class research which you can access for free. Ranking 10th in the UK according to The Guardian University league tables for 2019 , University College London is another reputable source of human rights theses. The institute of human rights at UCL is multidisciplinary and promotes cutting edge research. They focus on interpretation and application of human rights both internationally and domestically contributing to UCL’s role as a global university. Search for UCL discovery, enter Human Rights in the search menu and refine your search by selecting thesis under Type. The texts with an open green padlock are available to download for free. Here you will find full doctoral theses for example ‘Should international human rights law be extended to apply to multinational corporations and other business entities?’ by Sabina Anne Espinoza. A doctoral thesis would provide a lot more information, compared to an undergraduate or master’s thesis, as most are around 200 pages long. You can also select Detailed Search from the left-hand menu to add specific details about the type of paper you are looking for and from here you can select Full text available in order to see only the papers that you can download for free. The University of Vienna or Universität Wien also has an impressive database of theses available to download for free. You can access the database by searching for Universität Wien E-theses and selecting Search Repository. Here you can use the advanced search options to specify your topic. This university offers a masters in Human Rights programme which accepts students from different personal and professional backgrounds allowing students to develop an international network which will be essential in future careers. The faculty is made up of human rights practitioners who have experience working in the field meaning research papers are based on real life knowledge. The programme also offers field experience in the post conflict situation in Kosovo as well as internship and research placements. Thus, the research papers produced by this faculty are of high quality as well as being easily accessible. Another very inclusive database has been created by the University of Toronto, which is ranked 21st in the world according to The Times World University Rankings for 2019. Search for the University of Toronto Tspace and from this page you can search for faculty and student research. Within the faculty of law, this University offers an International Human Rights programme. Since 1988, they have placed over 145 law students in internships in countries around the world. Students taking part in these internships have the opportunity to work with governmental and non-governmental organisations, which provides vital experience in the field of human rights. This career focused programme has subsequently produced some thoroughly detailed papers such as ‘Recognizing a sustainable relationship between International Human Rights and International Trade Law in a pursuit to have human rights taken more seriously: A case study of the People’s Republic of China and the WTO’ by Jessica Crystal Antoine. This is one of the many papers you can access for free on Tspace by selecting the paper and clicking Download Thesis from the menu entitled Files on the right-hand side of the screen.